Storytelling is the way we activate and transfer the fire, energy and hope of human experience. It is the oldest gift we, as human beings, have. It is a tool for reflection, understanding, creativity and changemaking. This is why the MeWe youth storytelling initiative is so powerful, as it aims to amplify the storytelling capacities of disadvantaged youth worldwide. 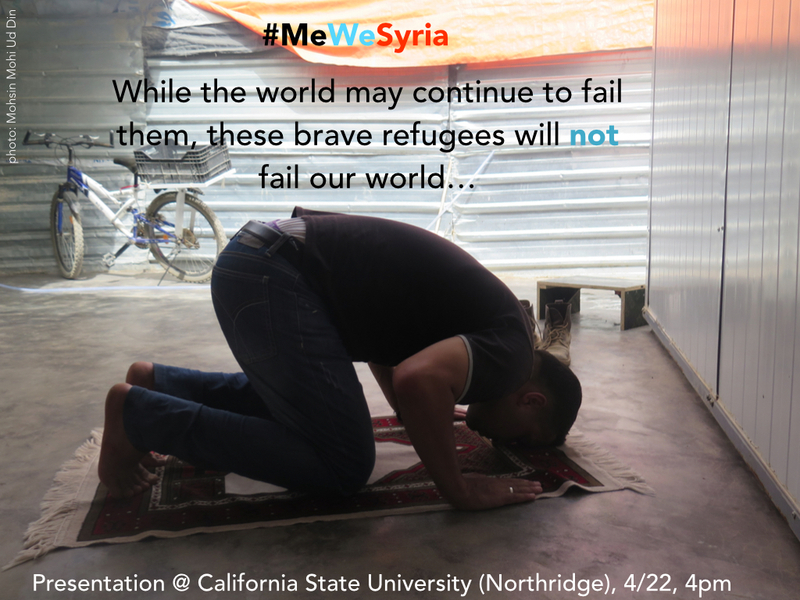 #MeWeSyria is coming to California State University on 22 April. The interactive panel will include a screening of some of the young refugees’ stories and messages, and a discussion on the power of storytelling for youth engagement and social development.